Project Arts Centre is delighted to announce that Jenny Comerford has been appointed the 2015 – 2016 Assistant Curator of Visual Arts. Having completed a B.A in Fine Art from Galway-Mayo Institute of Technology, Jenny was awarded an Emerging Artist Bursary Award from Cork Printmakers. 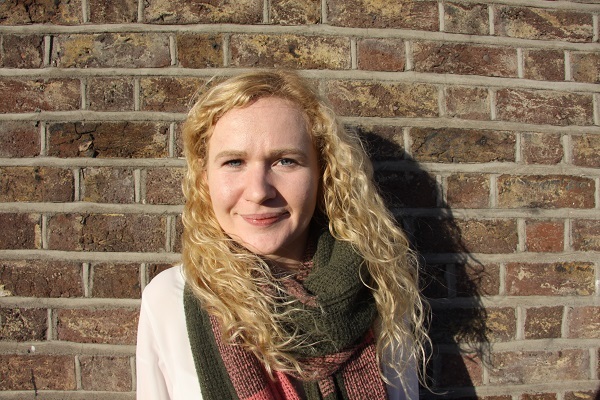 During her time in Cork, she secured a Project Internship with the Lewis Glucksman Gallery at U.C.C., working as assistant to the Curator of Education, designing interactive educational spaces for the Boolean Expressions exhibition. Following on from this, Jenny became a board member with Spleodar, a Tipperary-based arts festival for children, where she facilitated workshops and managed events. Jenny was chosen from an impressive selection of candidates and we’re delighted to welcome her as part of the Project team. At her new position, Jenny will work alongside the Curator of Visual Arts, Tessa Giblin, where she will play a central role in realising Project Art Centre’s ambitious and internationally focused visual arts programme. Project Arts Centre extends its utmost thanks to our outgoing Assistant Curator, Neasa O’Shea Brady. Neasa provided unyielding support in the realisation and production of two international group exhibitions: A Breathcrystal and Riddle of the Burial Grounds. Also, she contributed to the development of the technically ambitious David Claerbout and Gretchen Bender exhibitions, which were outstanding achievements alongside her everyday support of our programme. We wish her all the best in her new position as Project Manager at the Irish Heritage Trust.